The Greater Haverhill Chamber of Commerce is excited to announce the creation of a new and exciting event; the “Top Chef Challenge: The Best of Greater Haverhill’s Chefs, Food, Wine, Beer & More…” The event will take place over three “rounds” the first which will occur on Thursday May 14, 2015 at Bradford Country Club. Each round, three being planned in all, will feature live cooking demonstrations with three renowned local chefs, voting by a panel of judges & the audience, wine & beer tasting and an array of stationary and passed hors d’oeuvres stations. 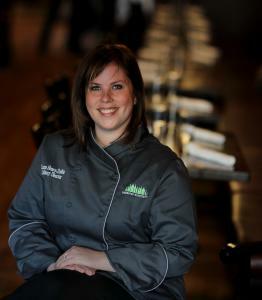 Village Methuen; and Chef Laura Henry-Zoubir, Winner of Food Network’s “Chopped” 2011. Tickets are $50 each and include the beer and wine tasting, stationary and passed hors d’oeuvres selection, and entry to the live cooking show. A cash bar will also be available. For ticket reservation contact the Chamber office at 978-373-5663 or info@haverhillchamber.com. For additional information please visit the website at www.haverhillchamber.com. Alan cites his family-owned Shawsheen Luncheonette as the catalyst for sparking his passion for cooking. Working with his parents from the age of 12, he recalls fondly long hours and many life-lessons learned. 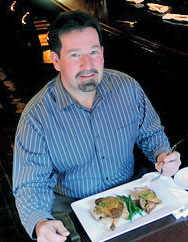 Alan graduated near the top of his class from the Culinary Institute of America in Hyde Park, NH and quickly began working for a four-star hotel in Germany, which would lead to a stint of 4 four-star hotels before opening his own restaurant, Keon’s 105 Bistro, in downtown Haverhill. Alan is proud of his cozy little upscale bistro that makes most everything served right on premise. 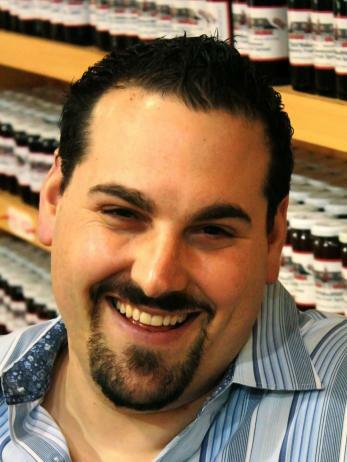 Tommy Grella was born and raised in Methuen and in 2012 opened his first ever restaurant, Prelude, in Ayers Village, Methuen. 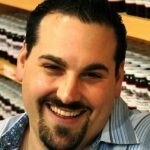 Most well known as a finalist in The Next Food Network Star (season 3) he is known for his tremendous food made available only to his friends and many special events until Prelude opened its’ doors. His friends describe him as a true foodie at heart known for long road trips to visit food destinations and cooking in guests’ kitchens often when traveling. He has been a guest chef at restaurants like Eat! In Pensacola, Fl; The Trump Plaza in Atlantic City and the Food and Wine festival in Disney’s Epcot. Chef Laura Henry-Zoubir is a CIA grad and Food Network “Chopped” champion! 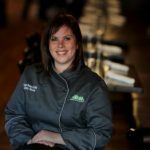 Laura is currently a Chef at Joseph’s Gourmet Pasta working on the development of new product lines and specialty pasta dishes. She spent 12 years working in some of Boston’s best restaurants, Biba, Hamersley’s Bistro and Prezza to name a few, before she opened the Regal Beagle in Brookline, MA. Laura quickly made a name for herself serving trendy upscale comfort food and became culinary director for Dramshop Hospitality. After starting a family with her also chef husband, they moved to Haverhill, MA to raise their daughter.